Rafe Chase has been a working improviser for over three decades and is described by SF Weekly as “one of the most celebrated figures on the San Francisco improv scene today." After only three months of classes, Rafe began improvising professionally with Flash Family at the Old Spaghetti Factory in North Beach in 1978. He left three years later to create Riot Squad, where he served as director and head writer for the group which performed both improv and sketch comedy. Rafe joined BATS Improv in 1987, served as artistic director for two years and continues to work with the group as both a teacher and a Company Player. In 1988, Rafe became a member of Pulp Playhouse, which performed at the Eureka Theater doing improvised stories in the style of the pulp magazines of the 30's and 40's. Rafe was a member of True Fiction Magazine for five years, from its inception in 1994, and is still a frequent guest with the group. In 2007, he teamed with Gerri Lawlor for a series of two person improv shows. In his continued exploration of long-form improv, Rafe has created several formats including Split Decision and Double Feature™. 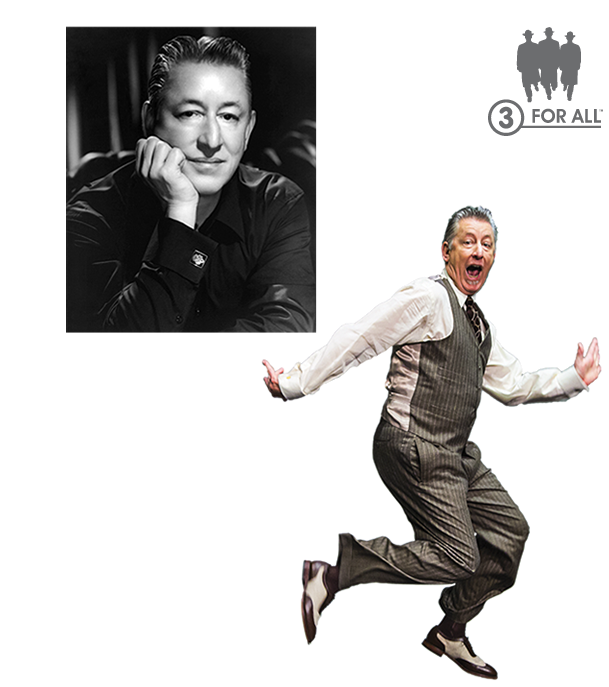 In 1996, Rafe, Stephen Kearin and Tim Orr created the critically acclaimed three-man group, 3 FOR ALL, which has wowed the crowds in a variety of cities, including Los Angeles, Chicago, New York. Rafe has taught improv for various institutions, including Stanford University and ACT, as well teaching his ongoing private classes. He has also worked extensively with young people and taught improv at Berkwood Hedge Elementary in Berkeley for three years, to students ranging in age from 5 to 11. His work as a writer includes sketch comedy, lyrics, articles on show business history and the self-published comic poem, Alice Is... He also wrote the one-person show, Mysterious Ways for Regina Saisi, his colleague since 1979. For information about Rafe’s private classes, contact him at rafechase@3forall.com.